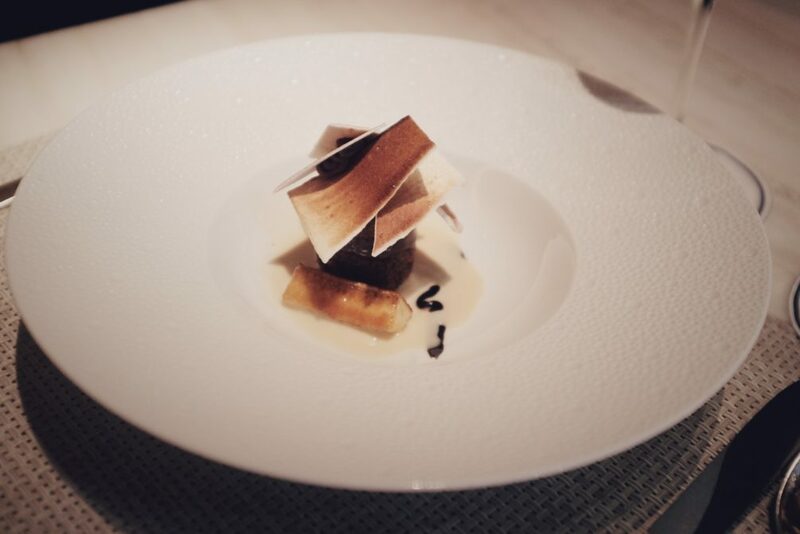 Le Bernardin is Eric Ripert’s world famous, three Michelin star restaurant in Midtown where the dinner tasting menu will run you $187 per person, $282 if you include a wine pairing. 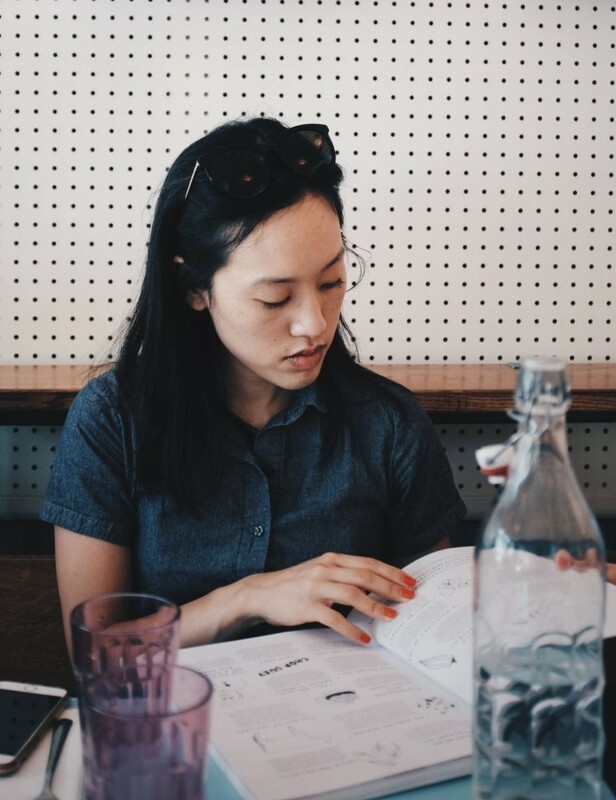 A meal here may seem inaccessible, but one trick to getting around the prices is to eat in the Lounge, where you can order off of the a la carte menu or enjoy the $57 3 course City Harvest prix-fixe, which is offered exclusively in the Lounge. 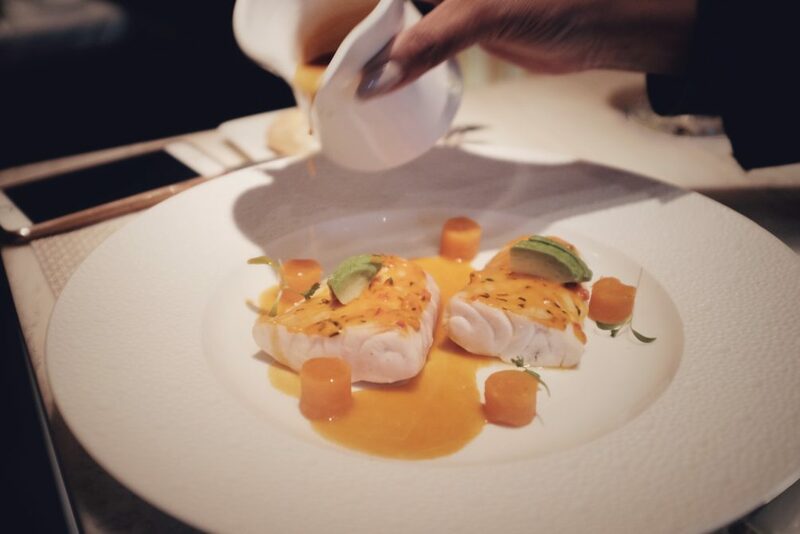 The Lounge takes walk-ins, but because Le Bernardin is so sought after, you’ll find that most of the seats will be occupied during prime dining hours. Get there early, or take your chances and wait for a seat to open up while having a glass of wine at neighboring Aldo Sohm, which is the wine bar run by Le Bernardin’s master sommelier. 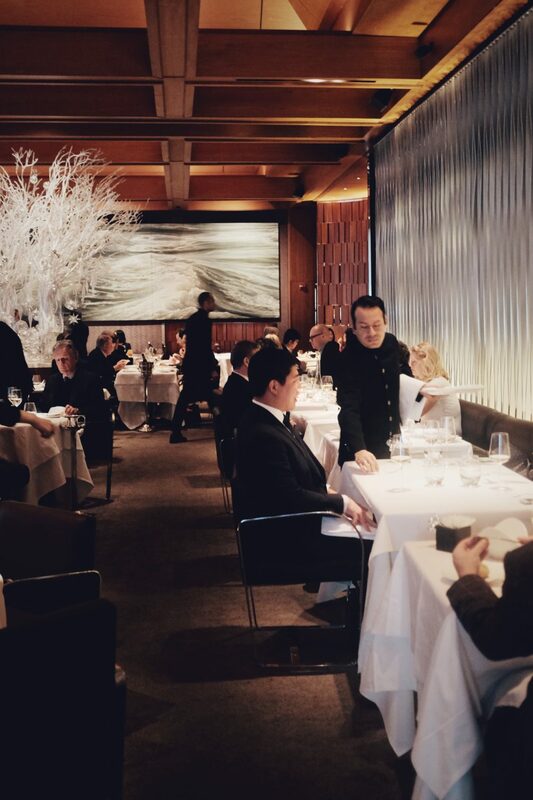 I was nearly denied a seat when I dropped by Le Bernardin on a weekday at around 12 pm, expecting the Lounge to be 70% full only to discover that it was at capacity. Luckily two seats at the bar opened up right when I was about to walk out. What I like about the City Harvest prix-fixe is that it is a very edited menu that showcases Le Bernardin’s strengths in seafood. 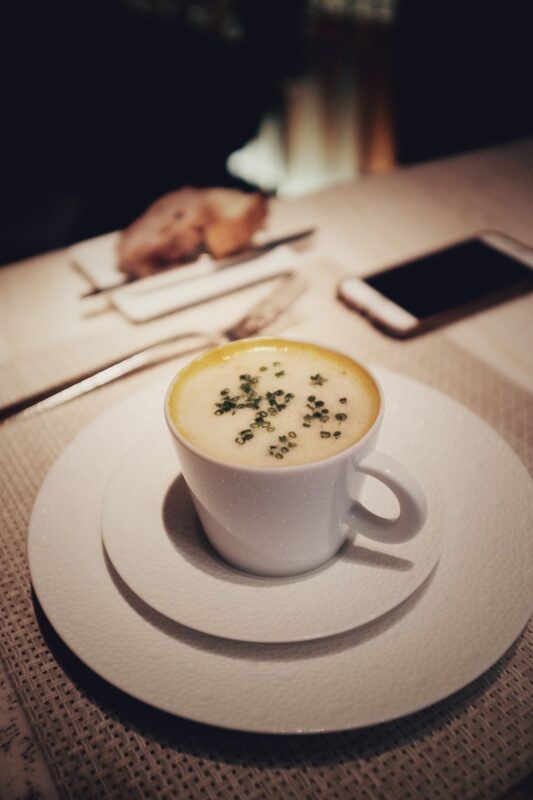 For our first course, we had the option of sea scallop or carrot soup with maine lobster. Eating carrots often sounds like a chore, but this velvety and creamy soup was such a pleasure. Even better was that they were generous with the lobster. You can’t go wrong with the sea scallops either, which were served cold and raw in a slightly sweet sauce with a little heat, but ultimately it’s the carrot soup that I still remember. For the second course, it was between two fish, a merluza and a sea bass, and the merluza was the clear winner by a comfortable margin. Merluza, as an fyi, is also known as hake, a flaky whitefish that is similar to cod. 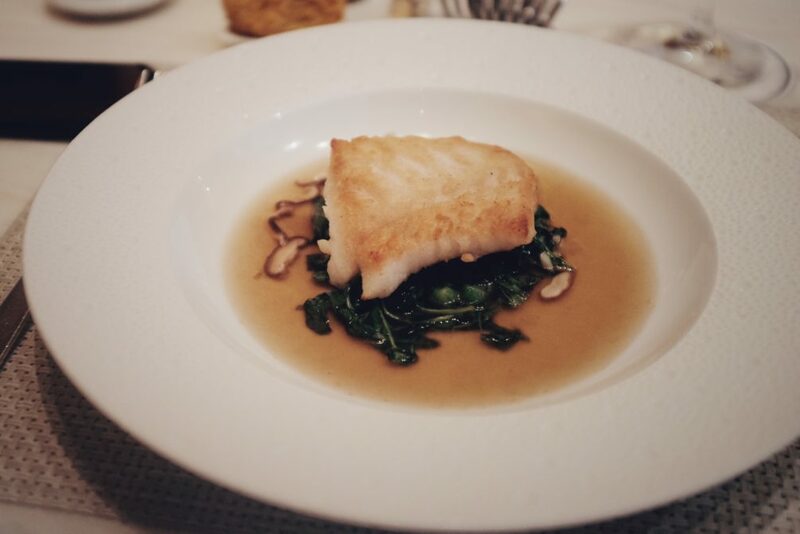 The fillet was cooked with crispy and golden edges all around and was placed on top of some pea shoots and immersed in a tranquil dashi broth. 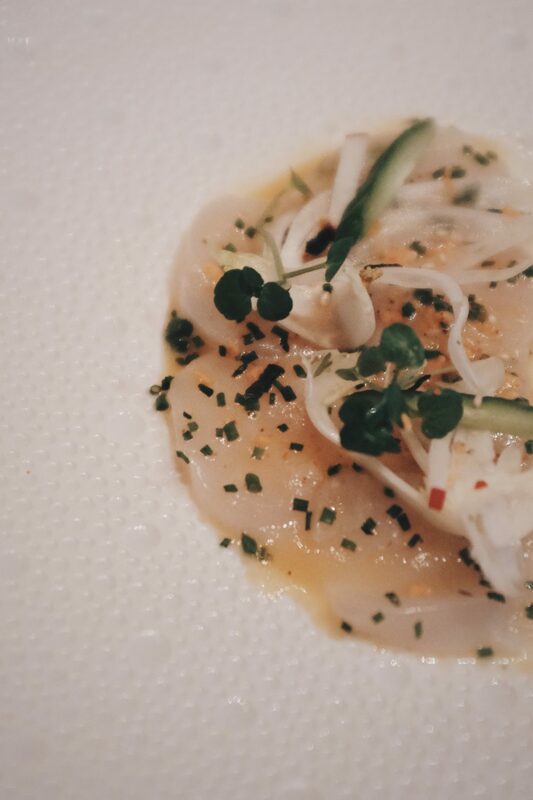 I’ve noticed that Le Bernardin’s Asian inspired dishes are particularly strong. While the sea bass, on the other hand, was prepared with some Latin flavors, reminding me of something Tex Mex that Bobby Flay would make at his former Mesa Grill restaurant. I actually preferred the very basic dessert of the selection of ice creams to the intricate banana s’more. The s’more was a little too complicated, an impressive architectural marvel, for sure, but it didn’t quite capture the gooey, messy essence of this childhood treat. 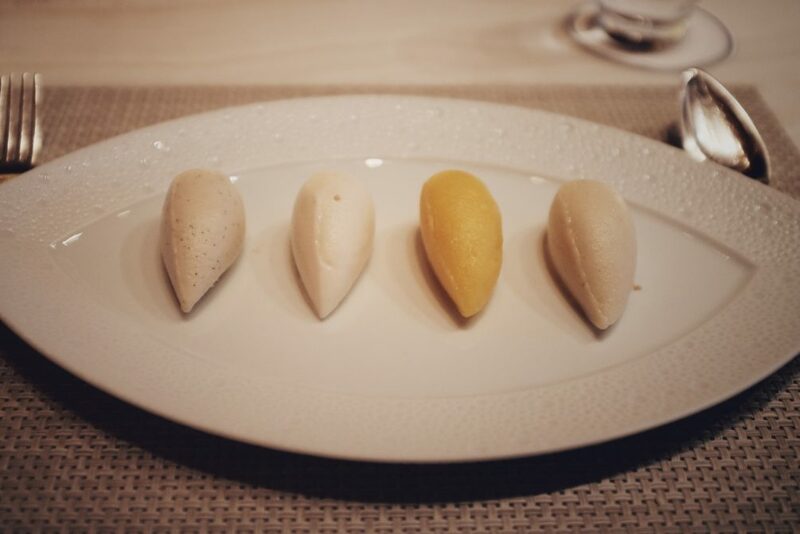 Scoops of ice cream and sorbet might seem boring by comparison, but the flavor selection–Tahitian vanilla, clementine, yuzu coconut and pear–was quite tantalizing. 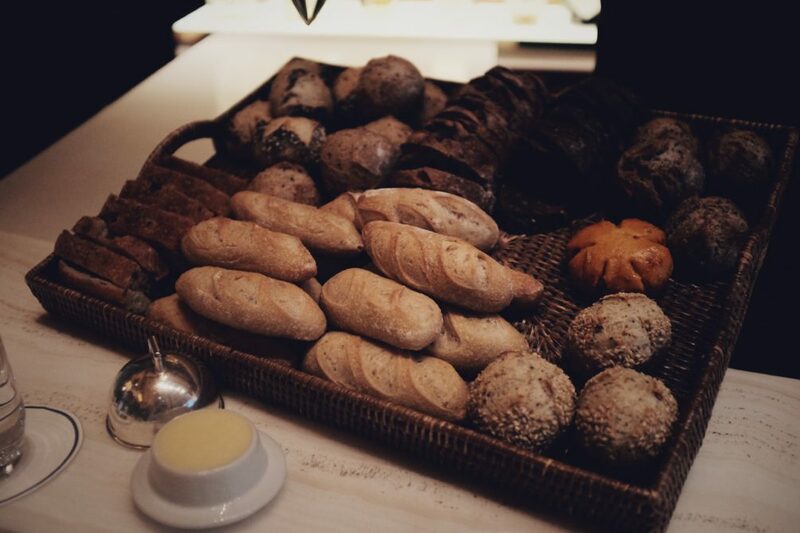 Even with the three course prix-fixe, we still enjoyed unlimited servings from the bread basket (would highly recommend the baguette and the cranberry walnut) and also some sweet treats at the end. 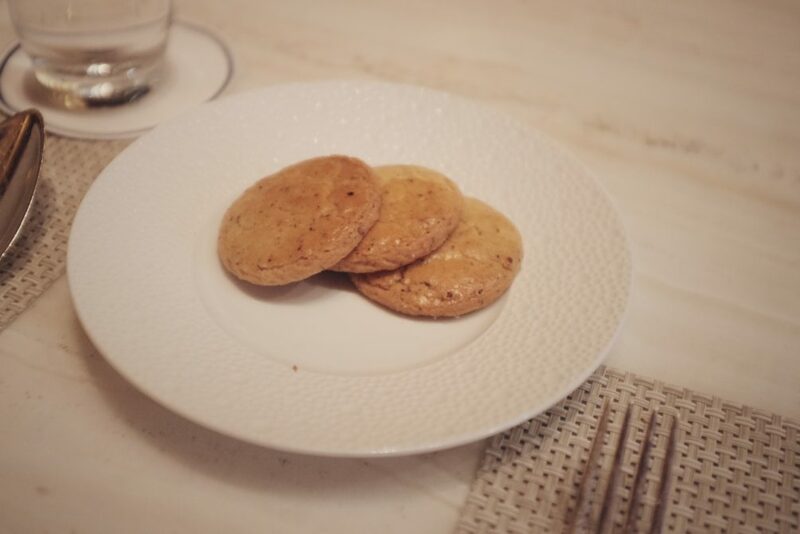 It’s a relative bargain compared to what a full tasting would cost you, yet it still captures the essence of the cooking at Le Bernardin in a very efficient way. Michelin meals, especially three star ones, don’t come cheap, so this City Harvest prix-fixe is one of my favorite deals in the city. Reservations for main dining room here. Lounge takes walk-ins.